Below are several frequently asked questions about franchising and working with a professional Evergreen Franchise Advisors, LLC advisor. If you do not see your questions answered here please don't hesitate to contact us! Who is Evergreen Franchise Advisors, LLC? 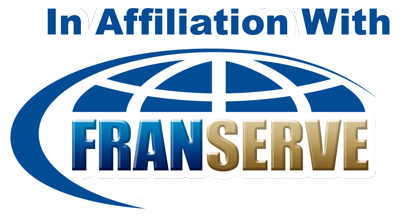 Evergreen Franchise Advisors, LLC is a franchise consulting firm located in Marietta, GA. Our firm has extensive knowledge and resources about the franchise industry allowing us to offer our clients an inside look at hundreds of different franchise opportunities. A professional franchise consultant can offer candidates a wealth of general and inside information about the franchise industry as well as about specific franchise industries and opportunities. Evergreen Franchise Advisors, LLC helps save our clients time by assisting with much of the initial legwork required in identifying rock solid opportunities that meet your criteria and are available in your desired market. The truth is our services are not free - they are just free to you, the franchise seeker. Evergreen Franchise Advisors, LLC is paid by the franchises we represent to assist them in the development and growth of their business. Which franchises does Evergreen Franchise Advisors, LLC represent? Evergreen Franchise Advisors, LLC currently works with over 500 of today's top franchise opportunities from dozens of different industries. Do I pay more for a franchise if I use a Evergreen Franchise Advisors, LLC franchise consultant? What is it like working with a Evergreen Franchise Advisors, LLC consultant?